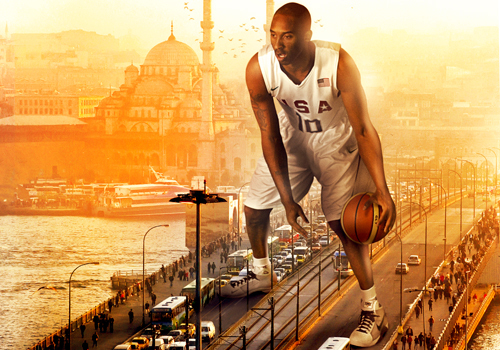 LOS ANGELES–Lakers guard Kobe Bryant has signed a 2 year agreement with Turkey’s national airline carrier. Bryant will be the reported “global ambassador” for Turkish Airlines, serving as the face and image of the company and its manager, the Turkish Republic, the Armenian Youth Federation reported Tuesday. The decision has caused uproar within the Armenian-American community in the United States and especially within Southern California, which boasts the largest population of Armenians outside of Armenia. As victims of genocide at the hands of the Ottoman Turkish government from 1915-1923, Armenians are angered that Bryant would sign a contract with a country that denies justice to the victims. It’s a two-year deal that will involve Bryant starring in a promotional film that will be aired on international television channels and in movie theaters in more than 80 countries next year, reported CNBC on Tuesday. Armenian Americans hope that Kobe would balance what clearly looks to be a profitable business deal with a strong moral statement against Turkey’s violations of human rights, including, of course, its ongoing denial of the Armenian Genocide. Tuesday’s Petros and Money’s segment on Fox Sports Network reported on Kobe’s recent deal with Turkey and the backlash of the Armenian community. Soon after the announcement of Bryant’s deal, disappointed callers flooded the lines of AM 570, the Laker radio station for over 30 years. Many in the community wonder how Bryant, who plays in a city with such a significant Armenian-American population, can sign a deal with a carrier which represents a country with such a deplorable human rights record. Armenian Youth Federation offices throughout Southern California have similarly been bombarded with phone calls from concerned Armenian youth asking for a call to action. The AYF urges Kobe Bryant to stay true to his loyal fan base and rescind his contract with Turkish Airlines. The AYF further asks Bryant to put out an official statement affirming his commitment to ending human rights abuses and voicing his support for House Resolution 252, calling on the United States Congress to properly recognize the Armenian Genocide. In 2007, Armenian newspaper editor Hrant Dink was gunned down in front of his office in Istanbul by an ultra-nationalist youth, angered by Dink’s outspoken stance regarding the genocide. Most recently, Kim Kardashian, sister-in-law of Laker forward Lamar Odom, came under scrutiny in the Turkish press for Tweeting about Armenian Genocide recognition. “Kobe has a proven track record of aiding various humanitarian efforts, and this is an opportunity for him to become a true “global ambassador” of truth and publicly speak out about the Armenian Genocide,” added Jivalagian. Founded in 1933, the Armenian Youth Federation is the largest and most influential Armenian American youth organization in the United States. With chapters throughout the country and affiliates around the world, the AYF actively strives to advance the social, political, educational and cultural awareness of Armenian-American youth.